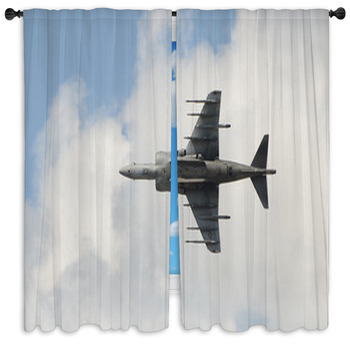 Turn your son's bedroom or the guest room into an air show with our air force window curtains. Kids love with explosive illustrations of jet fighters, and they'll love these sleek silver airplanes zooming through the white clouds in the blue afternoon sky. 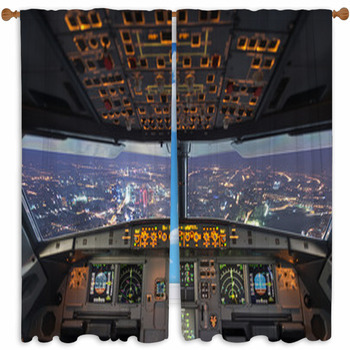 Welcome your teen into the cockpit of his own aircraft with a set of drapes that display a photo of a jet fighter waiting with its cockpit open on a runway. In the distance, he will be able to see green grass and trees stretching off to forever--even if he never opens the curtains. 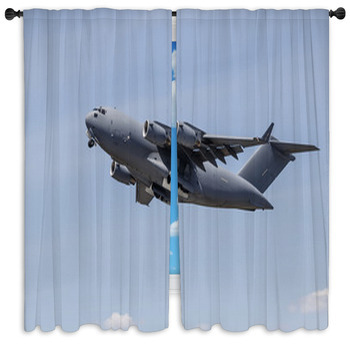 You can select custom size window curtains that picture the legendary Blue Angels, WWII era bombers, or close up views inside the cockpits of the most advanced planes on the planet. These designs feature the big time action. And it isn't only the sizes that are custom, but the images too. Personalization can be as exciting as taking a plane into a nosedive. Add your own images of aviation to our backgrounds, your words about America's power and justice to our images of flying planes, or anything in between. Our customization options will take your breath away faster than a diving jet plane. 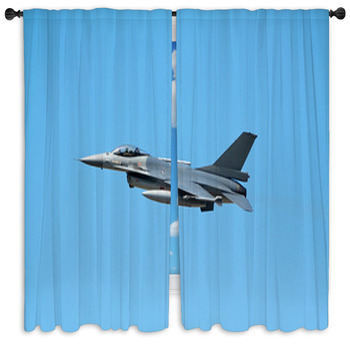 Air force window curtains come in full block-out curtains, drapes, or valances that each has their own airy flair. 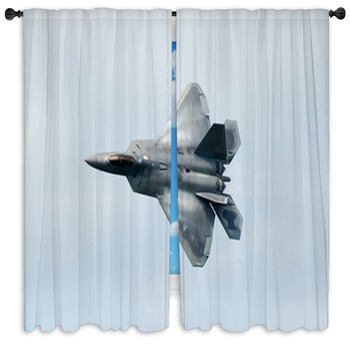 Drape your windows in camo, or block-out the light with an epic explosion beneath a screaming fighter jet. 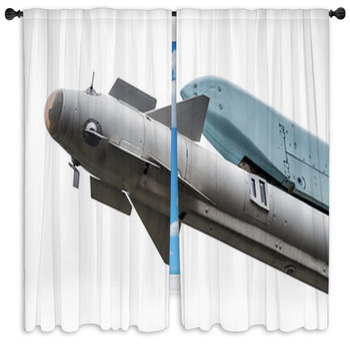 You can pick an air force theme that fits any room of the house. 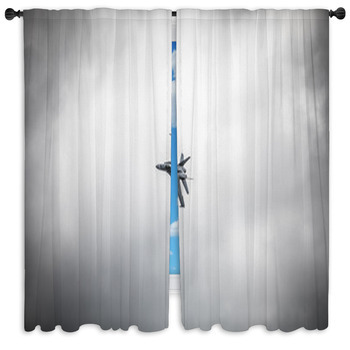 Try one of our cool air force window curtains designs that shows a black jet shown racing towards you across a grid of tan, gray and black wall art background. 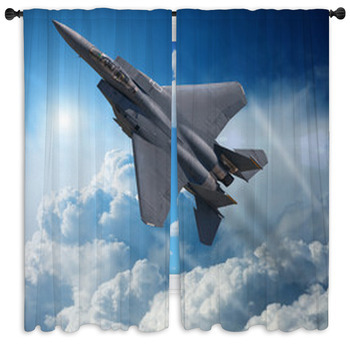 This could pair perfectly with another drape design that depicts air force pilots tracking the enemy. Here glowing dots are seen on the blue circle of a radar screen. 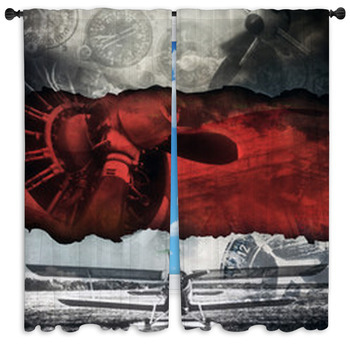 We also have designs that capture the beautiful scenery that pilots witness as they fly. 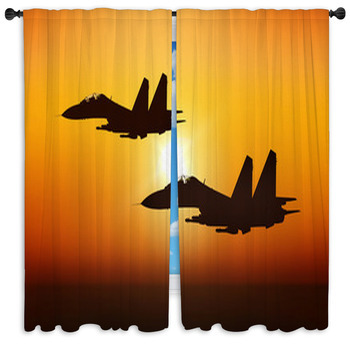 These include designs that show the sharp nose of a jet fighter coming towards you, as the sunset behind it turns the sky yellow, red and orange. 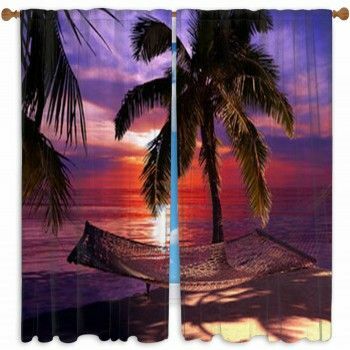 Any of these options could be used a theme together, or as parts of any other room theme you could dream up. Have a kid that dreams of flying? 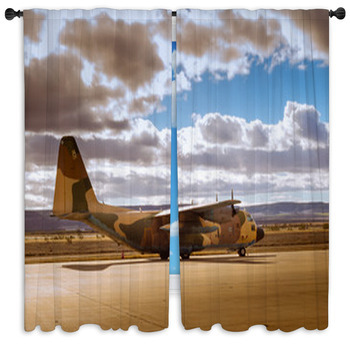 These window curtains would pair perfectly with VisionBedding's air force baby bedding. 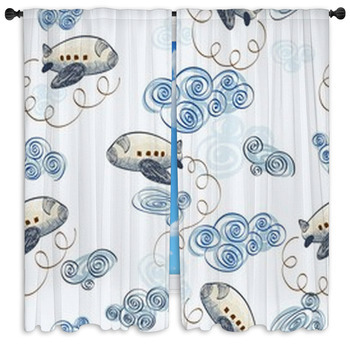 Dress your children's rooms with air force window curtains and see their eyes glimmer in action!